Selenium is an essential trace mineral found in soil and water. Plants and yeast naturally convert selenium into organically bound protein forms of minerals. For improved bioavailability, Healthy Origins SelenoExcell contains selenium in this organically bound, natural food form. 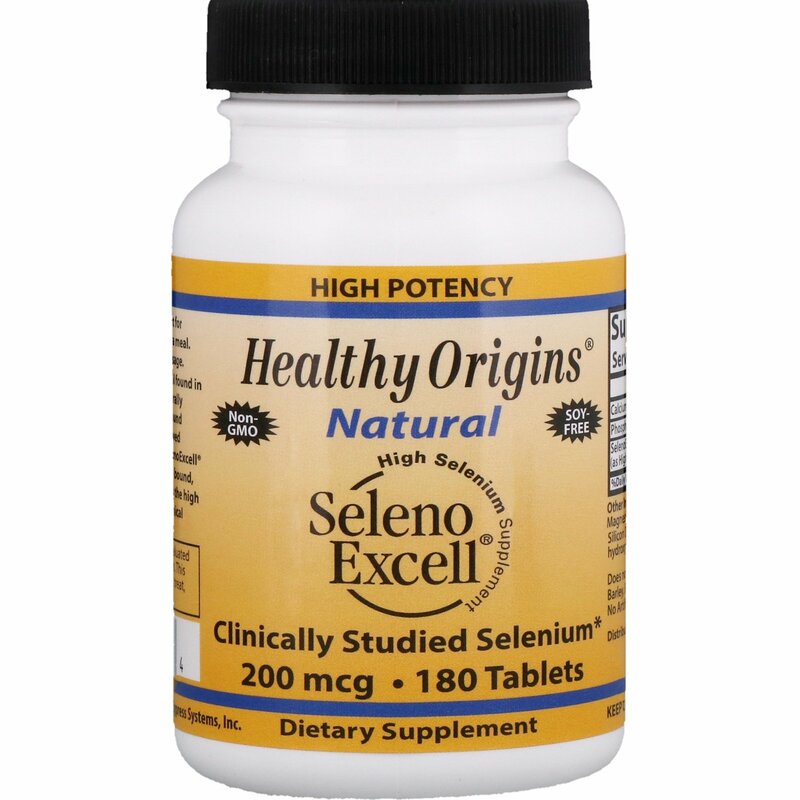 SelenoExcell was the high selenium yeast used in numerous clinical trials. 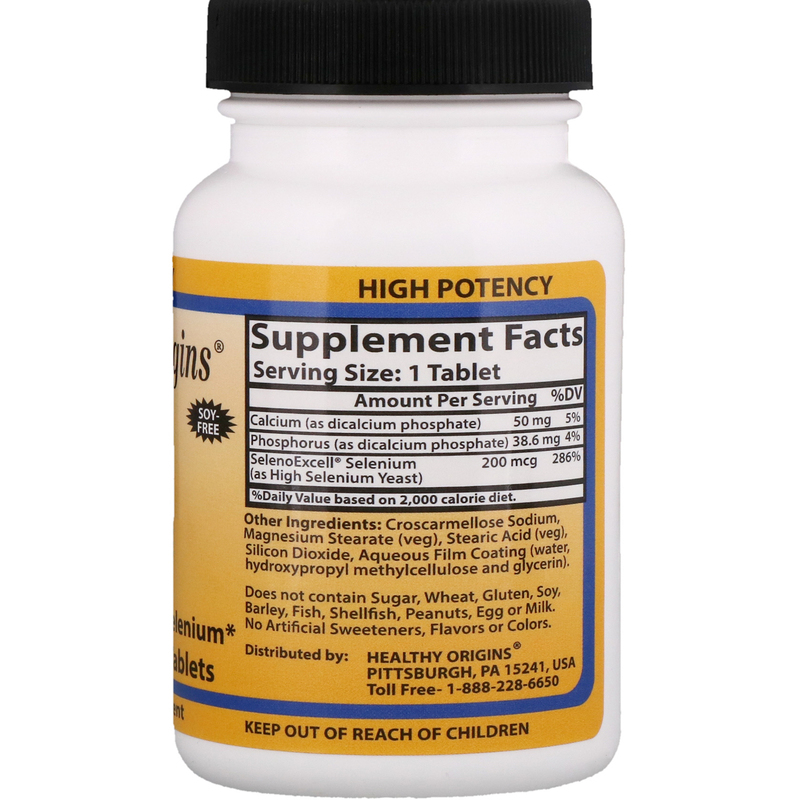 As a dietary supplement for adults; take one (1) tablet daily with a meal. Do not exceed the recommended dosage. Croscarmellose sodium, magnesium stearate (veg), stearic acid (veg), silicon dioxide, aqueous film coating (water, hydroxypropyl methylcellulose and glycerin). Does not contains sugar, wheat, gluten, soy, barley, fish, shellfish, peanuts, egg or milk. No artificial sweeteners, flavors or colors. %Daily Value based on 2,000 calorie diet.